The Commonwealth of Australia Constitution Act (UK) is passed on 5th July 1900 and given Royal Assent by Queen Victoria on the 9th July, 1900. After almost 40 years of discussion, debates and a referendum, it is official Australia will become a federation. Australia becomes a federation. At a public ceremony held in Centennial Park, Sydney The Commonwealth of Australia Constitution Act is proclaimed. The Commonwealth Government of Australia announces a Federal Flag design competition. The competition receives 32,823 entries with the winning design being won by five almost identical entries. Each of the 5 winners shared the £200 (almost $30,000 today) prize money. The Australian National Flag (Blue Ensign) becomes the official national flag of Australia. The Red Ensign becomes the flag of Merchant Naval Shipping. King Edward VII approves the design for the official Australian flag (Blue Ensign) and the Australian Red Ensign for Australia’s merchant ships and private pleasure craft. Minor changes are made to the points of the stars on the Southern Cross. The Australian Army gives Military Order, No 58/08 to direct all military establishments (Stations) to fly the “new” Australian flag (Blue Ensign). An escalating crisis in Europe, triggered by the assassination in Sarajevo of Austrian Archduke Franz Ferdinand by Serbian-backed Yugoslavists, culminates in Germany, allied to Austria-Hungary, declaring war on Russia, France and Belgium. On 4th Aug, 1914, the British Empire, including Australia, declares war on Germany, and hence Austria-Hungary. The British Empire, and hence Australia, enters World War I as a member of the Allied Powers, opposing the Central Powers. The Australian flag is used for the first time in an act of war when it’s flown over Queenscliff Army Fort, Victoria The fort opened fire to prevent the German steamer, Pfalz, from leaving port. The Ottoman Empire joins the Central Powers on 29th Oct 1914. Germany becomes the last Central Power to surrender, signing the Armistace at Compiegne, France, thus ending World War I.
Commonwealth Government Gazette No 18 features a line drawing of the exact specifications of the official blue Australian flag and the merchant shipping flag, the Australian Red Ensign. Following German invasion of Poland, UK, Australia, New Zealand and France declare war on Germany. This is the start of World War II. Japan attacks the US in Hawaii, as well as various American and British positions in the Pacific. The US, Britain, Australia and China declare war on Japan, and Germany declares war on the US. This is the start of World War II in the Pacific. Germany surrenders in Berlin on the 8th May, and then at the British Channel Islands on 9th May 1945. This is the end of World War II in Europe. Japan surrenders in Tokyo, ending World War II. Letter from Howard Beale MP to flag makers to request they re-direct their manufacture to the Australian National Flag (Blue Ensign) rather than the Red Ensign (except for its proper use in shipping). Parliament passes 1953 Flags Act. The flag (Blue Ensign) is confirmed by legislation as the chief national symbol by law, custom and tradition and its official title becomes the “Australian National Flag”. The Governor-General of the Commonwealth of Australia, Sir William Deane, proclaims 3 September as “Australian National Flag Day” to commemorate the day in 1901 on which the Australian National Flag was first flown. The Boers of the South African Republic (Transvaal) and Orange Free State declare war on the British Empire at Natal and Cape Colony in southern Africa. This started the Second Boer War, which involved Australia. Australia’s First Prime Minister, Edmund Barton announces the details of the Commonwealth Government’s unique competition for the design of a “federal” Australian flag (Commonwealth of Australia Gazette No 27). 32,823 entries are subsequently received. Prime Minister Barton announced the winning design of the government’s flag competition at a public ceremony. Australia’s new flag of “Stars and Crosses” is raised for the first time at approximately 2.30 pm. 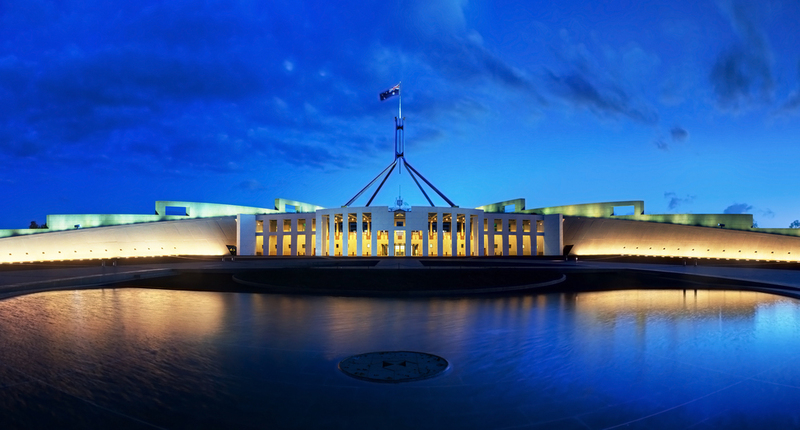 Featuring the Southern Cross, Union Jack and Commonwealth Star on a dark blue field the large flag about 11 metres long, flutters magnificently from the mast on the main dome of the Royal Exhibition Buildings, Melbourne – the site of the first Federal Parliament. Hence the Australian National Flag (Blue Ensign) becomes the official national flag of Australia. The Red Ensign of the new flag becomes the flag of Merchant Naval Shipping. First Vice Regal (and formal) raising of the Australian Flag by Governor-General, Lord Hopetoun at Townsville, Queensland. The Australian flag covers the grave of “Breaker” Morant, Pretoria, South African Republic (Transvaal). The Boers surrender by signing the Treaty of Vereeniging in Pretoria, South African Republic, ending the Second Boer War. King Edward VII approves the design for the official Australian flag (blue background) and the Australian Red Ensign for Australia’s merchant ships and private pleasure craft (Commonwealth Government Gazette No 6). The points on the stars of the Southern Cross are adjusted from 9, 8, 7, 6 & 5 to a simpler pattern of four stars of 7 points and one of 5. Australian flag flies at Olympic Games, St Louis USA, where the Australian team consists of one competitor. 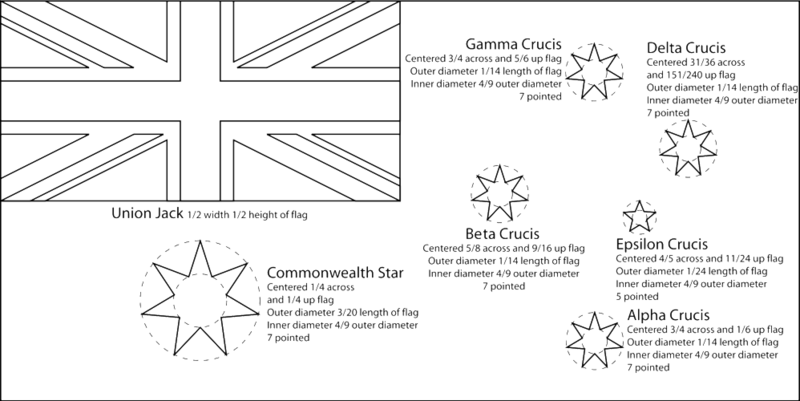 A 7th point is added to the Commonwealth Star to represent all Australia’s federal territories collectively. (Commonwealth Government Gazette No 65). There has been no alternation to our flag since this amendment. The Australian flag is raised at the London Olympic Games in celebration of the first medal win for Australia which was for Rugby football. Our flag has been the host flag for the Olympic Games on two great occasions, at Melbourne in 1956 and Sydney in 2000. The formation of the Royal Australian Navy is marked by the adoption of the Australian flag as the ensign to be “worn” (flown) from the jackstaff at the bow of all RAN commissioned ships and also at the mainmast as the “battle flag” when a ship is in combat. Christmas Day – Frank Wild, a member of the Sir Douglas Mawson Australasian Antarctic Expedition 1911-14, hoists the Australian flag and formally takes possession of Queen Mary Land (now part of Australian Antarctic Territory) in the name of King George V and the Australian Commonwealth. The first use of the Australian flag in an act of war occurs when it flies over the army fort at Queenscliff, Victoria which opens fire to prevent the German steamer, Pfalz, from leaving port. The Ottoman Empire attacks Russia and enters World War I, joining the Central Powers. HMAS Sydney displays a large Australian flag as a “battle” ensign during her celebrated victory over the German warship, SMS Emden. The success of HMAS Sydney is an international news event and establishes the fighting reputation of the Royal Australian Navy. Australian forces are victorious at the Battle of Polygon Wood, Belgium, during WWI. Lt A.V.L. Hull, who is later killed in action, plants the Australian flag on an enemy pillbox (machine gun post). The scene is subsequently depicted on a popular postcard which is sold to raise funds for wounded soldiers. General Sir John Monash advises the Governor-General that his troops in France have broken through the German lines and have raised the Australian flag after liberating Harbonnieres. Sir Charles Kingsford-Smith carries three Australian flags in his aircraft, the Southern Cross, on the first flight to cross the Tasman Sea to New Zealand. These flags were subsequently presented to Sydney Hospital. Italy invades France, declaring war on France and UK. Australia declares war on Italy the following day. The second HMAS Sydney, with the Australian flag flying as “battle” ensign, defeats the Italian navy’s cruiser, Bartolomeo Colleoni. Prime Minister Robert Menzies issues a press statement encouraging the public to fly the blue Australian flag on land and the Australian Red Ensign at sea. Japan attacks the US in Hawaii, as well as various American and British positions in the Pacific. The US, UK, Australia and China declare war on Japan, and Germany declares war on the US. This is the start of World War II in the Pacific. The Australian flag that flies outside the residence of the Administrator of the Northern Territory is riddled with bullet holes during a Japanese air raid. It is the first flag to come under enemy attack on Australian soil. The same flag is used in Darwin for a peace ceremony in 1946. It is flanked on one side by the Australian flag which flew at Villiers-Bretonneux in 1917 and on the other by the Australian flag flown by the HMAS Sydney when it destroyed the Italian cruiser Bartolomeo Colleoni in the Mediterranean in 1940. This precious flag from Darwin is now on permanent display at the Australian War Memorial. Australia’s flag is raised as the allies retake Kokoda, New Guinea. Italy surrenders, signing an armistace in Sicily. Sgt Tom Derrick raises the Australian flag on a shell torn tree at Mount Sattelberg, New Guinea, after having destroyed ten enemy machine-gun posts. His incredible feat earns him the ultimate award for valour, the Victoria Cross. A number of Australian flags were secretly made of scavenged pieces of cloth by Australian prisoners of war in various enemy camps. Some of these precious flags are now lodged in the Australian War Memorial. Prime Minister Ben Chifley issues a statement encouraging more general and widespread use of the national flag. The Commonwealth Government introduces the presentation of the Australian flag to all public schools. This has become a tradition. Parliament passes 1953 Flags Act. The flag is confirmed by legislation as the chief national symbol by law, custom and tradition and its official title becomes the “Australian National Flag”. Her Majesty Queen Elizabeth II personally gives her assent by signing the Australian Flags Act (Amended) No 1 of 1954. Prime Minister Sir Robert Menzies authorises the flying of the Australian National Flag by night (under illumination) and day over the capital city, Canberra. The flying of illuminated national flags at night time is now an international practice. Introduction of the Australian White Ensign as the distinguishing flag for the Royal Australian Navy. It is to be “worn” (flown) in conjunction with the Australian National Flag which was adopted by the Navy when it was formed in 1911. Flags Amendment Act 1981 describes Australian National Flag as a blue flag consisting of the Southern Cross, Commonwealth Star and Union Jack – our unique flag of “Stars and Crosses”. Five hundred Australian National Flags are paraded in Sydney’s “Welcome Home” march for Australia’s Vietnam War veterans. The flags commemorate the Australian service personnel who lost their lives as a result of the conflict. 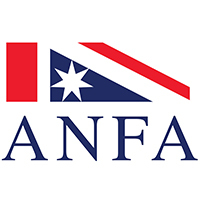 Flag Amendments Bill amends the Flags Act 1953 to ensure that the Australian National Flag can only be changed if the Australian electorate approves. The effect of this amendment is to confirm that the ownership and control of the Australian National Flag is indeed in the hands of the Australian people who it represents. Mr Alec Campbell, the last Gallipoli veteran, presents his own Australian National Flag to the Nation. His flag will be flown every year at the ANZAC Day ceremony, ANZAC Cove, Gallipoli (Turkey), on 25 April. The centenary of the Australian National Flag is marked by ceremonies across Australia. Prime Minister John Howard delivers a speech at the Royal Exhibition Buildings, Melbourne where a re-enactment of the first raising of the Australian National Flag is held. Governor-General, Peter Hollingworth, conducts a flag raising ceremony at Government House, Canberra to mark the occasion. Governor-General, Peter Hollingworth, proclaims the Centenary Flag Warrant. The Centenary Flag is the flag presented on 3 September 2001 to the Prime Minister by the Australian National Flag Association at the flag centenary celebration – Royal Exhibition Buildings, Melbourne. It is a fully sewn, satin, Australian flag, inscribed with a special flag centenary message. This flag of “Stars and Crosses” features the crimson thread of kinship, which symbolically links past and current generations to future generations of Australians. It will be used for future important national events.